As cities grow, there’s an urgent need to provide residents with housing they can afford. In cities across the US, development pressures are causing a broadening income gap. Not only are working-class families unable to afford city life, but the idea of providing affordable housing is becoming an afterthought. The issue of affordability can have far-reaching impacts on cities. High housing costs can make low-cost labor scarcer and increase demands on transportation systems. As middle-income workers abandon the city center to find an affordable place to live, they encourage suburban sprawl and land development practices that are auto-dependent and unsustainable. In Chicago, we are working to reverse these trends. Gensler’s master plan for the Woodlawn community, one of the city’s most distressed neighborhoods, reimagines more than 130 acres of blighted land and calls for redevelopment around three existing public transit stations and the neighborhood’s primary thoroughfares. 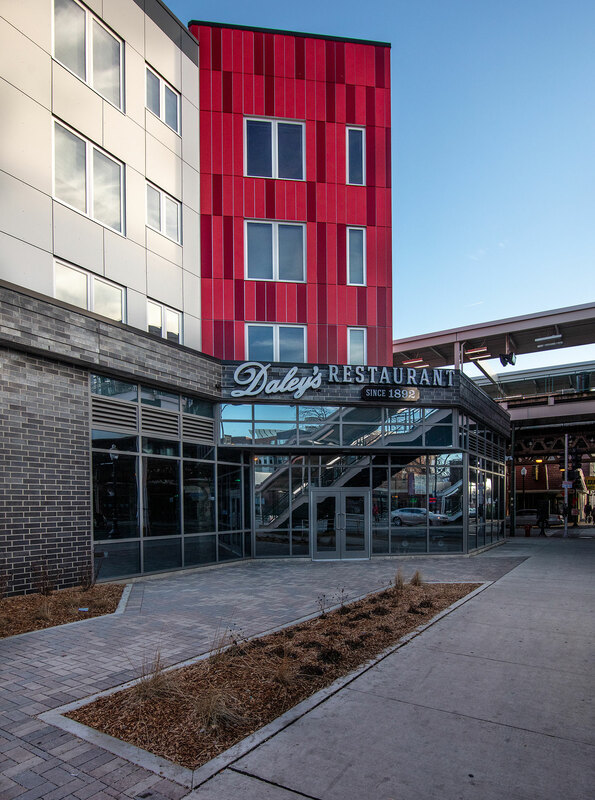 Woodlawn Station is a 70-unit mixed-income building with ground-floor restaurants and retail space. Forty of the units are affordable housing, with the balance rented at market rate. The first of these projects, Woodlawn Station, is a four-story, 70-unit mixed-income residential building with commercial space fronting a historic retail street. The building takes advantage of its location next to a Chicago Transit Authority “L” station by positioning its main door near the station’s ground-level entrance. 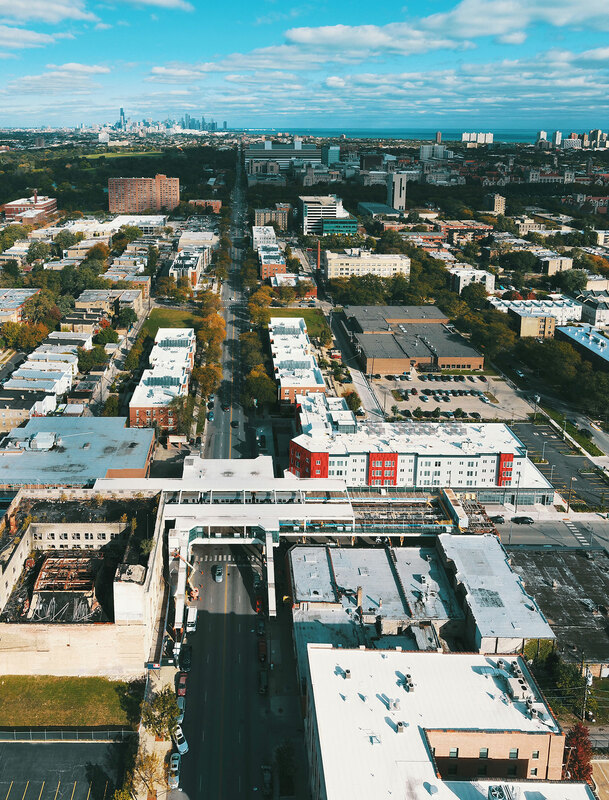 A collaboration by Gensler and a team of clients, residents, community members, and elected officials, Woodlawn Station is a model for cities facing gentrification and displacement. It exemplifies how cities can create equitable mixed-income housing that improves quality of life and forges a better economic future for residents who need it. Andre is an Urban Strategies & Design Leader. A Design Director in the firm’s Chicago office, he is focused on and committed to revitalizing and repositioning urban environments through urban design, master planning, and architecture. 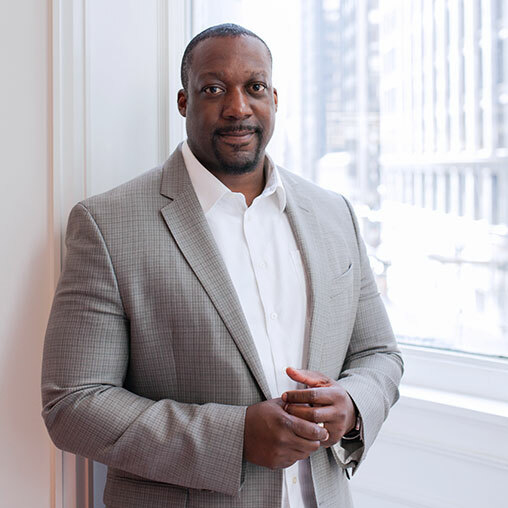 Andre’s broad career experience includes: redevelopment in emerging urban districts; neighborhood and community revitalization; high-density, urban-infill; city-wide master planning; corporate campuses; and industrial centers.